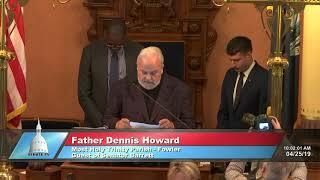 Senator Tom Barrett welcomed Father Dennis Howard of Most Holy Trinity Parish in Fowler to the Michigan Senate to deliver the invocation at the start of the April 25, 2019 session. 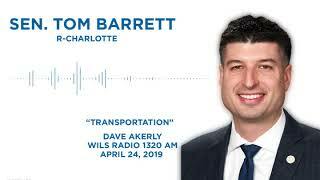 Senator Tom Barrett joined Dave Akerly on WILS Radio on April 24, 2019 to discuss Michigan transportation funding in Michigan. 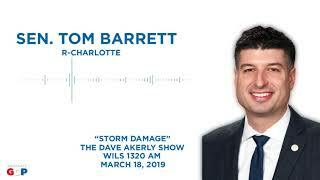 Senator Tom Barrett spoke with Dave Akerly on March 18, 2019 about the recent severe weather that struck mid-Michigan. 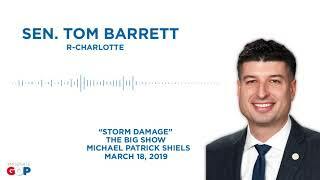 Senator Tom Barrett spoke with Michael Patrick Shiels on March 18, 2019 about the recent severe weather that struck mid-Michigan. 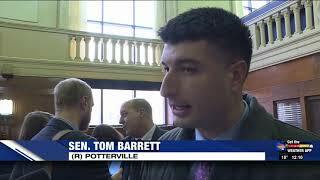 Senator Tom Barrett discussed Gov. Gretchen Whitmer's budget proposal on WNDU on March 6, 2019.